Upon conviction of the offenses charged in Counts Twenty-Four through Thirty-Two, defendants PAUL J. MANAFORT, JR., and RICHARD W. GATES III shall forfeit to the United States any property constituting, or derived from, proceeds 36 obtained, directly or indirectly, as a result of such violation(s). Notice is further given that, upon conviction, the United States intends to seek a judgment against each defendant for a sum of money representing the property described in this paragraph, as applicable to each defendant (to be offset by the forfeiture of any specific property). 76. The grand jury finds probable cause to believe that the property subject to forfeiture by PAUL J. MANAFORT, JR., includes, but is not limited to, the following listed assets: a. All funds held in account number XXXXXX0969 at Lender D, and any property traceable thereto. Update: Andrew Prokop noted that the prosecutors had at least proposed a jury verdict form that tied forfeiture of these funds to just charges 29 and 30, which are both charges the jury hung on. That seems to suggest that these funds are not subject to seizure (which of course increases the stakes of retrial). In the DC case, even more ill-gotten gains are at stake. Manafort stands to lose the proceeds of his influence peddling, the laundered proceeds of which the indictment says amount to $30 million. Manafort might lose, among other things, four of his homes. Upon conviction of the offenses charged in Counts One [ConFraudUS tied to FARA], Three [FARA], Four [False Statements pertaining to FARA], Six [Obstruction], and Seven [Conspiracy to Obstruct], the defendants PAUL J. MANAFORT, JR., and KONSTANTIN KILIMNIK (as to Counts Six and Seven) shall forfeit to the United States any property, real or personal, which constitutes or is derived from proceeds traceable to the offense(s) of conviction. Notice is further given that, upon conviction, the United States intends to seek a judgment against the defendants for a sum of money representing the property described in this paragraph (to be offset by the forfeiture of any specific property). g. All funds held in account number XXXXXX0969 at The Federal Savings Bank, and any property traceable thereto. The question of how much of his ill-gotten gains is subject to forfeiture was a big deal in the Rick Gates plea (and likely was a big deal to Sam Patten when he pled guilty to earning $1 million as an unregistered sleazy influence peddler). While Manafort doesn’t have young kids to raise, as Gates does, the sheer scale of his possible forfeiture no doubt makes such discussions even more fraught. Up until now, it has always seemed that the most logical explanation for Manafort’s actions was a calculus that the evidence against him was so overwhelming and the prison sentence he faced so substantial that his best bet was to do anything he could to get a presidential pardon. But now, he already faces losing around $16 million and stands to lose $30 million more. He’s been effectively broke since 2016 anyway. And it’s not clear that a presidential pardon prevents that from happening. So on top of calculating whether he trusts Trump enough to rely on that pardon, Manafort (and the lawyers he likely still has to pay) also have to be wondering how many houses his freedom is worth. That certainly strengthens Mueller’s hand in these negotiations. Hard for me to understand anyone risking forfeiting $16 dollars on Trump, much less $16 million. While it’s always possible manafort is no better decision maker than anyone else on Team Trump, I keep coming back to is he really weighing fears of feds vs Trump, or are his fears better described as feds vs _____? $16 Million is the minimum, it could potentially be much more up to any amount that is liquid and/or equity; i.e. everything. Sure would like to know how Mrs. Manafort is handling all this since her marital assets are being thrown around like mahjongg pieces. what manafort better make a thoughtful decision about is whether trump will be in office long enough to semi-discreetly give him a pardon in, say, two more years. manafort’s real fear for himself and his family should be the russian/ukrainian hyperich’s enforcers. Yeah, I think the enforcers are a serious consideration. I’m not sure that’s a genuine issue, but if it is, he’s vastly better off throwing himself at the mercy of Mueller. Hoping that mobsters will trust he was good and kept his mouth shut is a losing bet, and I’m sure the prosecution would happily share a long list of witnesses who stayed quiet and still got treated as rats. I am not sure I understand the leverage here. If Manafort is already broke, then it would seem that seizing his assets would mainly hit his creditors. Seizing the $16M obtained as a bank loan basically means that the bank loses the money, and that he will have to declare bankruptcy, which he might have to do anyway. And sorry if this is a naive question. But what am I missing? There is a significant difference between liquid broke and hard asset broke. How would the seizure for the loan fraud work? Would the feds keep the $16 million and it would be up to the bank to get the loan amount back from Manafort by some kind of civil action? Or is the government essentially acting as a repo man for the bank, and gives them the $16 million back after it is seized? Also, has there been any sign of charges being filed and/or a lawsuit aginst the exec who tried to trade the loan for the Trump Administration office? Lawyer here. The way it works is a two step process. First the government seizes it as ill gotten gains. If successful, the money goes to the government. The bank can then apply to the government for restitution as a victim of the fraud. Oh, yea. Liquidity bankruptcy is about inadequate cash flow: it’s there, but not in the amount or at the time needed to pay debts when they come due. Paulie faces that. As hard as it is, it’s nuthin’ compared to being stripped of assets, being stripped of the ability to replace them, and having to start over in old age. Quite a few Americans know how that feels. Being a pariah because of your crimes – or because you ratted out your clients – won’t help either. The way Paulie’s going, he won’t have much in the way of family and friends to help him recover. If the enforcers find him with money, they take it. If they find him without, it’s poison. Better stay in jail if you can’t keep your money. Problem is, a pardon implies his guilt, and he’ll lose the $ civil, so then he may as well be in jail, since out broke is dead. So, what would YOU do? Heck, I’d flip like a flapjack before I get burned. There is no point in loyalty at this stage, when it’s clear the loyalty (if it exists on the other side) can’t be turned into some sort of benefit. How much more evidence do the American people need at this point? I feel like, to a large extent, that the overwhelming majority of citizens could really care at all about this seeming affront to our solidarity; our shared common interest in a democracy. It is almost as if we, as a citizenry, have resolved ourselves to accept this unscrupulous political maneuvering as a matter of course. Our democracy is being bought and sold underneath us and we are content in the security of our Apple Phones and unfettered internet connections. At some point, the rug is going to be pulled out from under American lives and we are going to ask ourselves why we didn’t see the signs more clearly. It happened in Georgia. It happened in Ukraine. Our freedoms are illusory. They are agreed upon, but, when the person holding the keys to that guarantee would rather toss them? Dark times ahead for Western Civilization, for sure, but I pray that the beacon of democratic values will shine through. Maybe America hasn’t held up to its lofty ambitions, but it is an experiment that should endure but for no other reason than to be a counterpoint to patriarchal, maniacal rule by ruthlessness. Wow. This sounded apocalyptic and I was just trying to remind everyone what is at stake. Soooorrry. “Americans today are deeply divided. There exists no greater symbol of that division than Trump himself — the wild enthusiasm he generates in some quarters and the antipathy verging on hatred he elicits in others. The divisions between OTOH the oligarchs of corporate America who capture the government and fix its modalities of governance to serve their interests and OTOH the mass of American people will not be overcome by being nicer to each other. Corporate America has no interest in “the common good” , except insofar as it has sole ownership of what is common and of what defines and constitutes good. Huh. Platitudes that encapsulates to how our middle class was established and maintained after WWII because corporations were able to fill a world wide manufacturing void and had no problem sharing income with workers in the form of wages enabling families to flourish on one income. How subsequent leaders, especially Wall Street, decided they wanted more and more profits and captured, Executive, Legislative and Judicial branches to push a globe agenda, the end result we’re currently experiencing. What Bacevich wrote is a short grounding article, not a history book, how getting rid of Trump and thugs will leave us fucked, just as we were previously, not matter what. My kids, grand kids and great grand kids will continue to be affected by a societal corruption whose beliefs will fail to perceive, let alone rectify the problem. My guess is that their big hope at this point is to ride a reactionary wave back into power starting in four years, two if they’re lucky. They’ll count on the Supreme Court to keep hopes kindled, and they’ll do their best to egg on the Cuomo types in the Democratic party and their NY Times enablers. The GOP has its own issues which smart Democrats can use against them. We’ll see how it all plays out – I’m not ruling out craziness this November, or Trump madness at any time. I really want to see this smuck in jail for the rest of his life, and to lose every dime. So, since Manafort and Gates still have to deal with the Derapaska lawsuit, will he end up broke even if he retains a few houses on a Mueller plea deal? if the mueller team were to agree to a settlement with manafort that did not include his complete cooprration, that would be the most foolish, ham-handed decision they have made. it would remind folks that this is the same doj that didn’t have the mental toughness (aka, guts) to charge and pursue the bankers at the top of the mortgage-backed securities pyramid scheme. doj will be decades living that one down – and don’t bother to explaining to the citizenry that doj did not have the manpower or money. if people are to retain they tentative but slowly growing trust in the office of special counsel, the ofc must not blink when its gets near the top of the trump-putin political conspiracy that very likely occurred in 2016 election. manafort, more than any other trump campaign official very likely knows what happened between the trump campaign and the russians, in fact, i suspect he coordinated atbleadt part of it. that likelihood needs persuing. the very fact that manafort would talk settlement but explicitly exclude cooperation speaks loudly to the fact that he has something he wishes to conceal. additionally, though not as important, is the matter of fara registration and the need to see that this law is enforced (and strengthened) for the protection of the nation. the u. s. is the principal economic power in the world; the u. s. is by far the strongest military power in the world. for either or both these reasons, the u. s. is the prime target in the world for covert efgorts to manipulare its citizens and its officialdom. if you doubt this, look at the influence of big russian money in, e. g., london and big chinese money in sri lanka, malaysia, and Africa. finally, the notion that a few more years wouldn’t mean anything to manafort is something i’d be happy to test were i a prosecutor. the difference between 8 yrs and say 22 years to a 68 yr old man is an eternity in hell. ask don siegelman. why is edit turned off? Every other post, it will fail. BTW, on Maddow tonight, she reports from (page 347? That may be wrong page) of Woodward’s book, that it says that in the joint defense agreement, there are 37 people in that w/ Trump, which meant that John Dowd heard everything that those witnesses said to Mueller from their lawyers. Maddow says “we are trying to figure out who is in that defense agreement” – (hey, good luck w that) b/c she notes that both Flynn and Cohen, who were originally in, left the defense agreement just before they each pleaded guilty. Implied in that is that if we know who’s in and who leaves we may have an idea of who’s pleading/ cooperating. Apologies if this has already been picked up on here by yourself or others, I’ve been off for a few days – but thought it was noteworthy since your interest w Manafort and whether he’s still in that defense agreement. I’d love to know who those 37 are! Maybe Hope Hicks? Jeff sessions? Junior?…(I really don’t know). 37 people in a JDA??? That is beyond insane. Nobody, much less any real lawyer, would enter into that. Could it be 37 JDAs? Thank you for these reflections, b/c as a layperson, I find this to be totally bonkers – and unjust. Maddow says that this agreement “allows them to collaborate and share information abut the investigation, particularly what they told Robert Mueller.” Apparently, Dowd told Woodward he got debriefed by all of the lawyers for all of the 37 witnesses. I find this to be a totally unfair situation – if the president, whom this investigation is entirely about, is receiving info from 37 witnesses about what they have been asked by Mueller and what they said – how can justice ever be done? How can Mueller – and us – ever get to the truth? It’s a really maddening situation, b/c it often DOES seem that the president is above the law, or at least that he has E-V-E-R-Y advantage, from bully pulpit to pressure on DoJ and FBI, to 37-person JDAs, to tilt the scales of justice his way. The Imperial Presidency indeed. I mean, can normal citizens have a JDA w/ 37 witnesses? ?… From bmaz’s response, this is unheard of! Bob Woodward said on Maddow two nights ago that over his career writing about 9 presidents, he has seen the powers of the presidency extended w/ each one. This is the big picture issue in all of this. So collusion is spelled, “JDA”? Manafort’s cooperation would not only implicate Trump — it would implicate persons leading directly to Putin. A plea avoids unexpected public disclosure of those ties (allows control of the narrative, easier to spin) and the potential to keep at least some money. It also doesn’t take a pardon off of the table. Cooperation, on the other hand, begets a life of constant and very warranted fear that Novichok is on the next doorknob he touches. The publicity of Skripal wasn’t an accident. It was a warning. if i understand you, this is exactly the situation i am deeply concerned about. a situation similat to that of the “9/11 terrorism” report in which congressman hamilton and governor kean decided that 1) there might be some things better not investigated (whether the presidency ignoring cia warnings of an impending attack was simple malfeasance or a calculated decision) and 2) some things, having been investigated, that it were better we common folk not know (the extent of saudi arabian involvement being an obvious example). i hope mueller would not do that; he has a reputation as a straight shooter. however, it is one of the facts of life that those operating at the highest levels of governments – democratic to authoritatian – sometimes, somehow feel it incumbent upon themselves to keep hidden information about how government worked or didn’t – in the interest of “national security” or some such platitude, don’t you know. 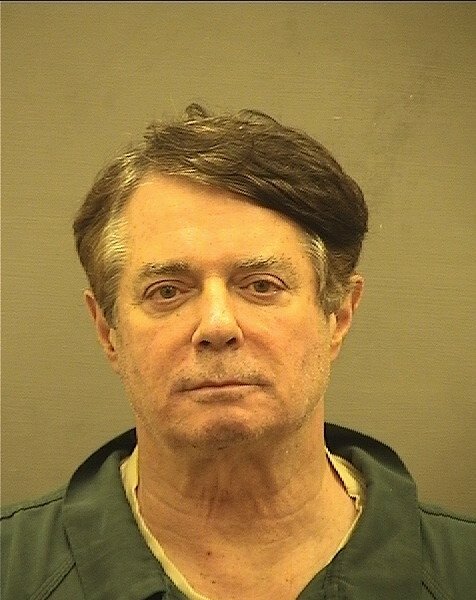 From my experience with white collar criminals like Paul Manafort, these don’t typically understand the world of hurt that jail represents; that is until they actually sit it one for a very, very long time. And like Bernie Madoff, maybe not even then. 1. Being in jail = incomprehensible but livable. 2. Becoming poor = abhorrent. So Marcy’s post here seems very on point. For these kind of criminals, it’s all about keeping their Salmon P. Chase notes. By extension therefore, nailing Trump for ConFraudUS won’t particularly get him to fold. But maybe, taking his money will. The SDNY and/or the State of NY freezing the Trump Organization’s assets, well, that might actually provide a different level of epiphany and get Trump et. al. to fold their cards. Manafort already knows what the world of hurt jail is, he has been in one of a while now. The question is how long he wants to spend in prison. And how much he wants his family stripped via forfeiture. Well, eight years…Putin is 65 years old and Stalin died at the age of 73. Maybe taking the time is best, especially if you get sent to a supermax. It’s hard to understand why he hasn’t flipped already. I don’t think it’s loyalt6 to trump or expectation of a trump pardon, I think he expects to be rewarded by his Russian patrons. If he toughs it out he gets what—forgiveness of debt and some other rewards that preserve family wealth? Or it’s just simply that if he flips, his family gets killed. He’s seen oligarchs in action. He’s got no confidence the fed can protect his kids, and he’s been told that toughing it out is the preferred option. I would caution against putting too much stock into talk of murdering Americans. I think Putin knows that is a major, major jump in risk from killing Russians, and he’s willing to play a slow game. At this point I think Putin and his buddies have taken steps to insulate themselves as best as possible from revelations in the legal system — he probably sees the big risk now from political action to pass new laws, not court rulings in the US. What appears in court is only a limited subset of what the US knows by now, and what matters is the political will to act on that information, not what is revealed in indictments or trials. I think Manafort’s silence is driven by psychological, financial and legal concerns. If he was truly afraid of the Russians, he would have jumped into Mueller’s arms by now. You believe that jumping into the arms of Donald Trump’s DoJ will protect Paulie from harm by Vladimir Putin and his oligarch friends, in the event that Paulie cooperates and fully discloses what he knows about Trump, foreign influence over the 2016 election, and his other crimes? I think he’s safer with their protection than without. A big problem I see with the idea that someone can trade silence for safety is that assumes the other side cares about holding up their side of the bargain. If you are Paul Manafort, do you think the Russians are naive enough to trust you? Details are going to be coming out for years which can plausibly be linked to Manafort, even if they are actually coming from FBI surveillance, other witnesses, etc. Manafort can deny all he wants, but how will the Russians know he’s not cutting a deal? I don’t think Putin will go that route. But if Manafort is genuinely afraid, he has to know these guys won’t sit around hoping he’s keeping his end of the bargain. The Russians would be more reliable than the Don. For the Don, it’s always personal. For the Russians, it’s strictly business. It gets down to what Paulie has to trade, whether it’s worth it to Mueller to lighten up and to protect him going forward, whether it’s worth it to Paulie to risk annoying his former clients. A couple of Russian tourists staying in a London B&B @£24 pp pn on a 4 day trip from Moscow would surely want to visit Salisbury on 2 consecutive days to see the famous cathederal spire, and worlds oldest clock. I fear you may have fallen for fake news. Perhaps @earlofhuntington&novichok can put you straight. and maybe re-enact “wee willie winkie” in a picturesque village, but misunderstanding that it was “crying at the locks”, not “trying the locks” . The Don had a double order of Macs, fried fish and chocolate malted yesterday, so he’s feeling feisty. 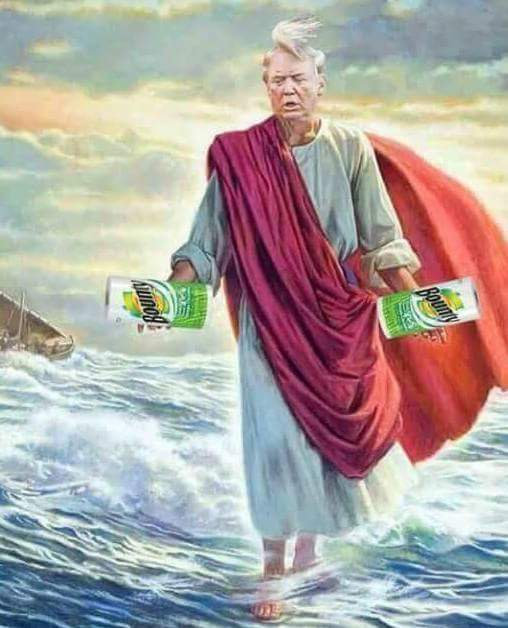 The Dems and that hateful mayor of San Juan just added names to the list to embarrass the Don and tarnish his greatness, like names of people who died of old age or sumpin’. It’s always about the Don. He’s beginning to make George W. Bush seem like an informed statesman. The Don hates things he hates: taxes, disclosure requirements, legal process, people of color, those who speak a language other than English – or speak English better than he does – and the mayor of Puerto Rico among them. The Don is probably also protecting himself against criticism that he and FEMA screwed up this hurricane response, too. We’ve learned nothing that would suggest he will react to this crisis differently than he has to any other. One difference might be that the people in the eye of this storm are his people, they voted overwhelmingly for him. If he fucks this one up, he will pay an electoral and PR price. As usual with Trump, other people will pay a real price. As with other weather-related disasters, process and preparation will save a lot of lives and property. Moving resources in ahead of time rather than waiting for an individual governor to request them would do the same. Brock Long at FEMA seems more inclined to take his cues from Kirstjen Nielsen, who tends to wait on Trump. Trump, however, tends to see these things like Haley Barbour did Katrina – as a redevelopment opportunity to be savored rather than a crisis to be avoided. …one of the daily additions to the CORRUPTUS section of my personal news letter. Sandy hit the east coast of the US on October 29, 2012. As bmaz keeps saying, I don’t see Bob Mueller offering Paulie a plea deal that does not involve full disclosure and cooperation. That’s the sticking point. Paulie’s client list reads like an international who’s who of political tyrants. He’s not afraid of Donald Trump, he’s afraid of his past clients and the people who probably keep Trump solvent. As Marcy points out, Manafort faces bankruptcy and a flailing Trump, whose interest in issuing Paulie a pardon is as variable as the wind on the Potomac. And the pardon solves only a few of his troubles. thanks for the clear commentary. i hope bmaz and you are right re para 1. i actually think you are. BUT i have seen matters go awry that never should have, and once they go, there’s no pulling them back. that’s why it is important for folks to express their concern ante rather than post, e. g., with judge kavanaugh. That is certainly what they are interested in, and other than saving the trial expense, Manafort will not get much relief from a plea without cooperation. He needs a 5K1 downward departure request from the government to get any real relief on sentences in both DC and EDVA. As to people asking about the effect of a commutation or pardon on forfeiture, it is pretty complex and hard to answer with specificity. A commutation is usually as to lessening or removal of incarceration, but generally leaves other aspects of a conviction in place. A full pardon might well knock out any federal criminal forfeiture. However, that would still leave all his assets exposed to civil forfeiture, and especially so by states. Bottom line is I don’t know exactly yet, but even a full pardon would leave Manafort pretty exposed financially. Don’t presume that the existence of one or more complementary JDAs forecloses serious disagreements or even effective warfare among their signatories and their attorneys. All but less than a handful of the over 40 trials I’ve been involved in were situations where partners to often comprehensive and intensely detailed written agreements had major arguments that led first to falling out then to extended pre-trial litigation, some to trial, some of those to appeal. The last is by far the smallest category; the 40+ I reference is the second smallest, again by far. EVERY stage I describe involves the vast majority of cases falling off; I can’t and don’t say that for every one that went to trial, a dozen times that many involved at least complaint filings and often interrogatories, but that doesn’t misrepresent the ratio. Would parties to such an agreement as a JDA actually be disingenuous with each other? These people are charged with CRIMES – on that basis alone many would label them definitively as “criminal”. And what’s the old saw about honor among thieves? Don’t make the mistake of thinking that just because we can’t see what’s happening below our sight lines, therefore nothing of significance is and all is happy happy. Can you imagine a 37 person JDA with these looney toon twits??? My head spins at even thinking about it. Good grief. This reveals my lay-person (IANAL) take: but it seems this arrangement (JDA) between Trump’s counsel and Manafort’s counsel doesn’t exactly line up as fortuitous for Manafort. How could that possibly be to Manafort’s advantage or in his interests? Again, who is paying those guys for Manafort? Who’s paying for the other 36? How does asset forfeiture work if his sentences are commuted or if he’s pardoned? If he’s still holding on to his assets when the commutations/pardons come down, does he get to keep them? If so, he’d be highly motivated to plead out, wouldn’t he? And if the EDVA case is appealed–which it almost certainly will be–does he get to hold onto his assets while the appeals are pending? The government would already have acted to secure all those. Such efforts don’t always work, but even where such security isn’t letter perfect, no third party is going to be interested where the price includes possibly buying into a priorities lawsuit that could last years. In the law firm I essentially apprenticed at – and this I’ve come to learn over the decades is typical – there were a number of files involving priority battles that had been ongoing for many years, in one case in particular for several decades. Newbies were handed these messes as part of the ‘blooding’ process. I managed to get two disposed, one thru a technically tricky court motion and the other thru a settlement; and neither made me any friends beyond the law firm. No sane attorney of any experience at all wants anything to do with this sort of work. Note to MSNBC’s producers: If you’re going to broadcast using sign language – DO NOT cover the signer’s hands with your handy dandy map. It defeats the purpose, no? When did this happen, EOH? I’ll tweet something about it if you can narrow down a time and story. It was MSNBC, broadcasting an update from NC’s governor this morning, about the time of that post. They reformatted their screen a few minutes later, so that the signer’s hands were visible. Asset forfeiture is a civil remedy, not criminal, so a pardon is irrelevant. He doesn’t even need to get charged with a crime to forfeit assets. Oh, that is not true at all. There are quite clearly criminal forfeiture provisions and capability. As regards Manafort, specifically see 18 USC §982. I’m not familiar with Virginia specifically, but the southern states generally have very draconian asset forfeiture laws. Asset forfeiture is an in rem proceeding, which means it is an action against the property itself. Criminal proceedings generally include an asset forfeiture angle, but it’s a preponderance of the evidence standard against the property, not beyond a reasonable doubt. The owner of the property has to assert ownership to reclaim the property, which is why it’s been so lucrative for law enforcement in the war on drugs (think 2015 was the year when the value of assets forfeited exceeded the value of burglaries nationwide). There are jurisdictional splits on whether or not a person needs to be charged criminally or not to seize assets. Also never did any federal criminal defense, so that would impact this discussion. Generally, since it’s a major LE fundraiser, the path of least resistance is to treat it as an in rem proceeding. That, at least, is how it works in California. Again, there is a difference between civil and criminal forfeiture attempts. The angst on the news is like watching Ground Hog Day. In covering Trump’s renewed attack on Puerto Rico and the number of deaths caused by a vicious storm and a grossly incompetent government response, reporters ask how Trump could lie about something so well documented? How could he be so self-absorbed, so devoid of humanity, and so given to attack? Reporters and their MSM employers know but won’t say the answer. It is because Trump is profoundly obtuse, ignorant, and self-absorbed. He lies at the drop of a hat. He attacks when he is afraid. Like Commodus, he is always afraid. Trump would be easier for millions to understand, if reporters would just say that.